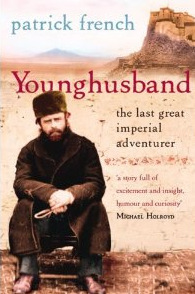 Younghusband was a fearless explorer and has been dubbed the last great imperial adventurer. As a 24- year-old officer given ‘leave’ by the British Army in India, he found and charted a new route across the vast Gobi desert and descended the supposedly impassable Mustagh Pass. The Royal Geographical Society honoured him with a Gold Medal and made him their youngest-ever member. Younghusband went on to develop a reputation as an expert on Central Asia and was later made Tibet Frontier Commissioner. 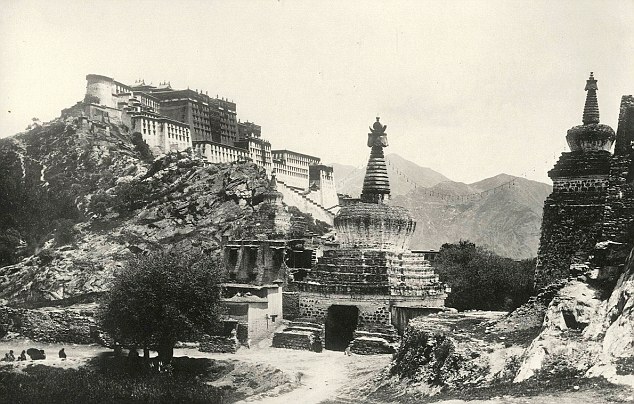 In 1903, amid fears of Russian infiltration, breaches of treaties and minor border disputes, he was sent on a British Army expedition to Tibet. Exceeding orders, however, the mission became an invasion force, several thousand Tibetan troops were killed and a new treaty forced on the Dalai Lama. 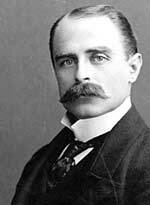 Although London never fully ratified that treaty and Younghusband later regretted the invasion, he still became known as ‘Conqueror of Tibet’. Throughout his lifetime, Younghusband started numerous societies. The ’Fight for Right’ campaign was founded to rally recruits for World War I and it commissioned the now famous anthem, “Jerusalem”. By the Second World War his horror of conflict led him to seek ways of reducing global conflict. He started The World Congress of Faiths which still promotes inter-faith dialogue today. As Chairman of the Royal Geographical Society, he set up The Everest Committee and, in 1924, a reluctant George Mallory was persuaded to make his third and fatal attempt on the highest mountain in the world. He and Andrew Irving were last seen just below the peak and we may never know whether they ever reached the summit. The honour finally went to Hillary and Tenzin in 1953. Although initially an ardent imperialist, Sir Francis later campaigned for Indian independence and took the dhoti-clad Gandhi on his famous tour of London. Eventually, after years of spiritualistic dabbling and to the horror of Edwardian England, he embraced the life of a geriatric hippie – believing in free love, telepathy and extra terrestrials from the planet Altair. This strange controversial dynamo of a man published over 30 books, received many honours, flew with Charles Lindbergh, and counted innumerable famous influential people among his friends and enemies. 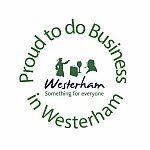 He also enjoyed his daily walks among the fields and butterflies near his home at Currant Hill and claimed to know every child in Westerham. In 1937 he sold the house in Westerham and moved to a lilttle flat behind Victoria Station. 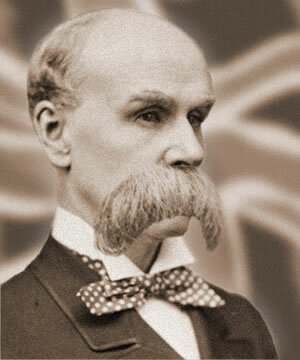 To read more of the remarkable life of Francis Younghusband, read the biography by Patrick French. Patrick French is a writer and historian, born in 1966. His most recent book is “India: A Portrait (2011)” – A political, economic and social study of a nation in flux. He is also the author of “Younghusband: The Last Great Imperial Adventurer” which won the Somerset Maugham Award and the Royal Society of Literature Heinemann Prize, “Liberty or Death: India’s Journey to Independence and Division”, which won the Sunday Times Young Writer of the Year Award, “Tibet, Tibet: A Personal History of a Lost Land” and “The World Is What It Is: The Authorized Biography of V.S. Naipaul” which won the US National Book Critics Circle Award and the Hawthornden Prize. He writes for The New Yorker, The Economist, The Financial Times and The New York Times and has lectured at venues including King’s College London, the Royal Society of Arts, the School of Advanced International Studies in Washington DC, the Royal Geographical Society in London and Hong Kong, Chatham House and the London School of Economics.